Forgive me if there is already a thread with this duplicate post. It is time for a new Spinnaker halyard. We traditionally use New England V-100 on Zephyr. Any other high technology material others would recommend? I like 5/16 Crystalyne for jib and main and either 3/8 v100 or Endurabraid for spinnaker. I (and by that I mean my mast man) finds 3/8 easier to handle and jump at the mast. What's the pro and con to running smaller diameter line for halyards? I personally don’t see an advantage for anything less than 5/16 outside of cost. 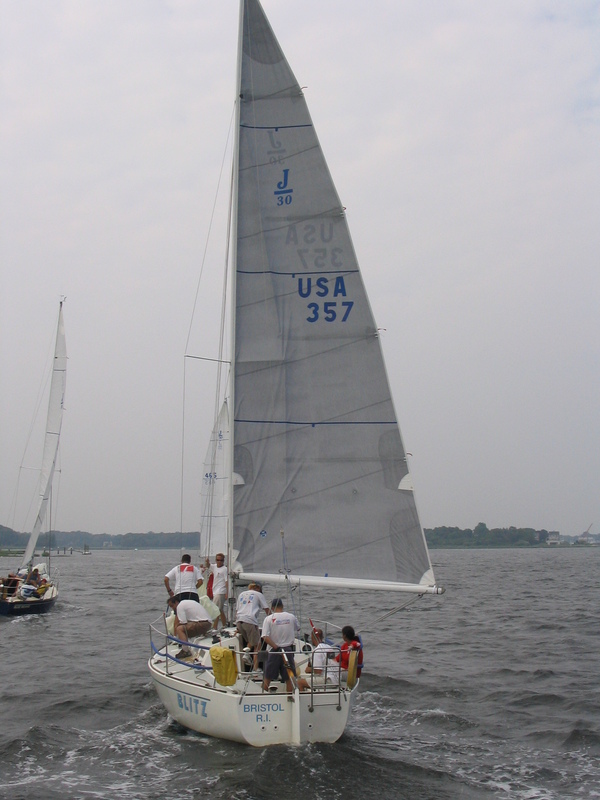 Smaller will slip easier through clutches and the spinnaker cleats on the mast. Smaller line also means less friction around the winch drum. If you have a slippery drum, you may need an extra wrap with smaller line. I found this thread which was very useful. We went with a Dymeema halyard for the Spinnaker. This has a tendency to stretch a little which is OK for a Spinnaker (not a main or Genoa). We are sticking with Vectran V-100 for the main and Genoa halyards. As I understand Vectran is the USA brand for spectra while Dyneema is the EU brand. For performance downwind halyards, I agree with the choice of Dyneema (or Spectra). 8mm / 5/16" is perfect. Dyneema is UV stable enough to be stripped to reduce weight aloft, but at 8mm, I'm happier with the extra abrasion resistance. Before my current Endurabraid spin halyard, I had stripped 9mm Dyneema which wasn't bad either, but I prefer using 8mm as the method to keep the weight aloft low, and 9mm is harder to find. As I know it, Spectra (a trademark of Honeywell) is very very close to the same thing as Dyneema (a trademark of DSM), but is not nearly as similar to Vectran which is an aramid, which is much more like Kevlar and Technora. For performance upwind halyards, Vectran and Technora are excellent. I have 10mm / 3/8" V-100 for my primary genoa halyard. I don't think that I would buy another one that thick for a J/30, but would really prefer 9mm / 23/64" for creep reduction and "feel" over the 8mm size. While it is listed on neropes.com, I couldn't find it. I also use Yale Aracom-T Technora that seems to be about 8.5mm and like it. According to my local rigging shop, it is a bit more dimensionally stable than Vectran, but they seem pretty interchangeable to me. Dyneema all around since I strip the cover exposing the core to UV. NE Ropes Endura Braid 8mm (5/16") for jib and spin halyards and 10mm (3/8") for the main. Samson Warpspeed is similar but a bit more expensive and has a tight cover. I find it difficult to splice especially if you don't strip the cover. But if you are paying a pro do the splicing, I think that tight cover makes it longer lasting. Yale Maxi Braid has a fuzzy cover, good for hand feel and winch holding, but the core seems loose compared to Endura Braid. In my experience Maxi Braid breaks down more quickly if you are strip off the cover.